Bonsai is the ancient art form of training miniature flora to resemble the majestic, aged beauty of their naturally-occurring counterparts. They are plants, manually stunted and conditioned to exude the illusion of large, old trees. Bonsai cultivation requires an investment of time, patience and dedication. It can be an understandably intimidating prospect to devote part of oneself into nourishing these delicate, albeit beautiful plants. It may be especially discouraging if some things do not go well ab initio. Hence, it’s essential to start with a plant that is comparably gentle and yielding, especially for beginners. If there’s an official starter kit for bonsai, the juniper bonsai will lead the list. Aptly dubbed as a symbol of longevity in oriental folklore, these trees are famous for living a long life even under not-so-optimal conditions. They’re easy-to-care-for, easy-to-develop and are exceptionally forgiving of missteps and miscalculations. Not to mention their stunning and splendid appearance! Being the flexible and adaptable plants that they are, the Juniperus species are perfect for enthusiasts with experience as well as to those just beginning to dip their toes into bonsai training. These plants are a hardy, long-lived species that can live to the ripe, old age of 200 years. There are about 60 species in existence. They are trees or shrubs that are evergreen and coniferous. They can come in shades of blues and greens, sometimes suffused with gold or silver. They can have the needle-like foliage, often seen in the juveniles of the species; the scale-like leaves of more mature plants; or more commonly, a combination of both. Leaf texture also varies and bark can either be polished or left rough. Junipers have small, round cones that have roundish or edged seeds. 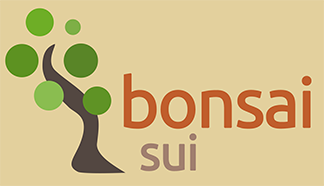 Juniper bonsais are popular for their supple branches and amazing ability to bounce back from trauma. After suffering from stress, trees usually grow the juvenile needle-like foliage back to recover. The trees can shoot really fast and get bushy real quick, so extra attention to grooming is requisite. These coniferous plants can be propagated through seeds or cuttings. Growing them from scratch may be a fulfilling experience, but it may take a considerably long time for the tree to grow enough and be bonsai-ready. Various species are available for purchase in specialty stores. They come in different shapes, styles and sizes. It will not be difficult to find juveniles, pre-bonsai junipers, pre-styled trees or even high-value, ready-made bonsai. Of the 60 or so J. species, the classic beginner’s candidates are the Juniperus chinensis (Chinese juniper) that can be found everywhere and its dwarf cultivar, the J. chinensis var. Sargentii (Sargent or Shimpaku juniper), native to Japan. The Juniperus procumbens (prostate Nana, aka Green mound juniper), and the Juniperus rigida (Needle juniper)—also natives of Japan—along with the Juniperus communis (Common juniper) and the Juniperus sabina (Savin)—natives of Europe—are just as easy to grow and train and just as readily-available commercially. What’s awesome about these plants is that they will grow just fine in poor soil. Ascertain only that the soil chosen holds water well but does not tend to ‘trap’ it. A thorough watering is well and good, as long as there is suitable drainage and sufficient air flow. Holes under the pot should also be sizable enough to let excess water escape. As mentioned, they are incredibly tolerant of different soil textures, be it compact, fine, grainy, loamy or even rocky! This is great, especially for beginners, as it will be an easy experience making a very own soil mix without worry for the plant. Just follow the general formula: 20% peat, 20% grit and 10% loam. That said, it’s even easier to buy ready-made bonsai soil packs that can be had from nurseries or traders. These packs are specially formulated for general bonsai cultivation and perfect for junipers. They are made of part humus, part organic substance and part inorganic aggregates—the usual ingredients. Junipers love staying in the great outdoors and basking in lots of warm morning sunshine. All the same, they adapt just fine if kept in shady areas too. In the afternoon, they can be placed in areas with filtered sun to full shade. Plants of these species are an outdoor lot in general but can sit indoors for a few days too. In winter, the tree goes through a dormant resting phase. During this time, they do not require sunlight but should still be irrigated every few weeks or so. They can be set without much worry in areas with temperatures under 60° Fahrenheit but not less than 15°, by which time they would need protection. Some junipers have frost defense mechanisms that color their bright green leaves a murky purplish-brown. The leaves will turn green again come spring. Most junipers with scale-like foliage are hardy customers. They can be kept outdoors and on display in winters. Some of which are the J. chinesis (Chinese variety), J. chinensis var. Sargentii (Sargent’s juniper), J. virginiana (Virginia variety) and the J. davurica (Dahurian variety). Then again, a number of these conifers need protection against the harsh conditions of winter, to wit the Hornibrook juniper, Squamata juniper, J. recurve (Drooping juniper), the Common juniper, J. rigida (Japanese needle juniper), among others. The most important thing to remember is that these conifers do not like soil in standing water. They loath standing water, period. The roots particularly, can be subject to water molds and rotting when left wet for extended periods. Let the soil dry a little before watering again. The frequency of irrigation depends on the kind of soil and the climate. Some soil holds water longer so watering can be done less frequently; and proper drainage is of utmost important. On the other hand, plants on soil that drains water well (and thus dry quickly) should be watered frequently. You can also water every other day in areas with moderate climes. In hotter and drier places, watering should be done once or twice a day. Feel for wetness at about an inch into the top soil. To check, stick a less-callused, sensitive area of your palm—the pinkie, for example—through the soil and feel for moisture. If it feels dry, it’s time to water. Water lightly but often and insure proper drainage. Be advised that soil should never be left completely dry for an extended period. Consistent moisture is key. Over time, you will be able to work on a balanced water schedule. Humidity is a rudimentary factor in maintaining moisture and misting is an important step. Misting prevents excess transpiration and help keep leaf pores from dust that can hamper proper air-circulation. Mist at least once a day, more if the air is uncommonly dry. Do not water or mist if the sun is shining brightly as these can burn the leaves. A tray filled with stones and water can also be placed beneath the bonsai pot to help humidity. Moss is also helpful in moisture-retention, but not really necessary. If moss is already growing on the pot anyway, include it in misting every day to keep it alive. A basic fertilizer is good enough for the not-so-picky juniper bonsai. Organic plant food or dilute chemical fertilizers with 0.01% nitrogen, potassium and phosphorus is ideal. A high nitrogen content in spring is essential if thicker and faster growth is desired. Try mixing things up with the occasional acidic fertilizer too. Start by feeding every 2 weeks during the growth season in spring to midsummer. Taper off to once a week of balanced fertilizer in late summer to autumn. No feeding during the plant’s dormancy stage in winter. Unlike the roots, these species give leave to vigilant trimming of the top-tree. They can withstand the aggressive pruning well. They need it, in fact, as they are like adolescent boys that shoot up and about dramatically. Long shoots can be pinched off as soon as they stick out, year-round. ‘Pinch’ being the operative word, as cutting can sometimes turn the wounded area brown. Do the major pruning and shaping in summer. Junipers tend to grow really dense foliage. This must be thinned out before actual shaping can take place. Aim a pair of wicked sharp scissors to the base of excess branches. When the tree is sufficiently thinned down, prune at least half of the new shoots off. Be careful to leave a few leaves in the bits you want to keep. These plants do not bud back in branches whose growing tips have been sheared. Have a general plan on the desired shape in order to save time and lessen the risk of pruning too much. Another addition to the species’ many virtues is its flexibility. It is suitable for numerous bonsai styles, including but not limited to: twin-trunk, where one trunk grows out of the main one to form a slighter pair; multi-trunk, where three or more trunks grow out of a single root system, creating a crown shape; informal, where the trunk is shaped into an S; cascade, where the tree grows up partway but abruptly bends towards the ground to reach beyond the bottom of the container; and the fashionable driftwood, where dead wood is used as ornament. Pruning a juniper will be a good practice for rookie bonsai hobbyist since as mentioned, they are extremely tolerant to pruning. There’s no need to worry too much about little slip-ups here and here. They can bounce back hastily after a lot of stress. Styling for bonsai starts early on and junipers are already heavily-wired while still quite young. Their ability to be bent into dramatic twists and shapes make them quite popular among novices and experts alike. They can be easily formed into the unique styles that are reminiscent of authentic oriental vibe. Because bonsai are trees grown in small pots, it is a matter-of-course that nutrients will quickly be depleted after some time. The soil will become too dense and devoid of nutrients. Foliage will begin to turn brown or yellow and fall. When and, better yet, before this happens, it will be time to repot. Juvenile trees are those that are less than 5 years old. These juvies should be repotted every year or two; older trees, every 3 to 5 years. Repotting is practiced year-round but is best done in the seasons of spring or fall because it’s better started after the plant has begun shooting. Clip an inch or so off the bottom and side roots. Hunt for pencil-thick or thicker roots and trim them off too. This will encourage the growth of feeder roots for more efficient water and nutrient absorption. Repot. If possible, replace only half of the soil in every repotting session. Unlike foliage, never prune roots excessively. Do not repot or prune if the weather is too hot. Repotted plants must be watered thoroughly. Sunshine and fertilizer should be avoided to give the stressed roots ample time to recover. It also is important to mist the newly-repotted plant frequently. Water absorption through the leaves holds the fort while roots are recuperating. Conifers can absorb enough water from regular misting to help alleviate the water balance deficiency, until roots are able to carry full load again. It is just as important to choose the right pot. Formal styles are best showcased in shallow pots while deep containers suit cascade and semi-cascade styles best. While training, use a size that would be similar to the target display pot for showing. The juniper bonsai’s leaves should always remain healthy and vibrant. Dead leaves should be removed directly as they can spread diseases if left to decay. Stay alert and check roots regularly. They are usually the first to show weaknesses or signs of infection. Roots don’t lie and all that. Check for pests year-round as they can attack even in winter. Healthy junipers are substantially resistant to vermin but can grow quite thick if not pruned regularly. Thereby, creating huge potential for insect hideouts. Spider mites are especially fond of these trees. If the foliage turns brown for no reason, chances are spider mites may be hiding under its branches. Other common menaces are webworms, scales and aphids. Spread trees apart to limit infection and confine stricken trees immediately. Commercial insecticides will usually take care of the problem as long as the manufacturer’s guide is followed to the letter. The real bogeyman in the juniper’s closet are fungal rusts. The plants are well-nigh incurable once infected. Sniping affected branches does not guarantee their disappearance. To avoid spreading the disease, it’s best to burn trees once infected. Susceptibility to rust fungus varies. Be more vigilant with plants of yellowish-green leafage as they are, more often than not, less resistant to fungal rust than bluish-green ones. Researching and knowing your particular juniper bonsai species will help you safeguard it better against problems and threats.